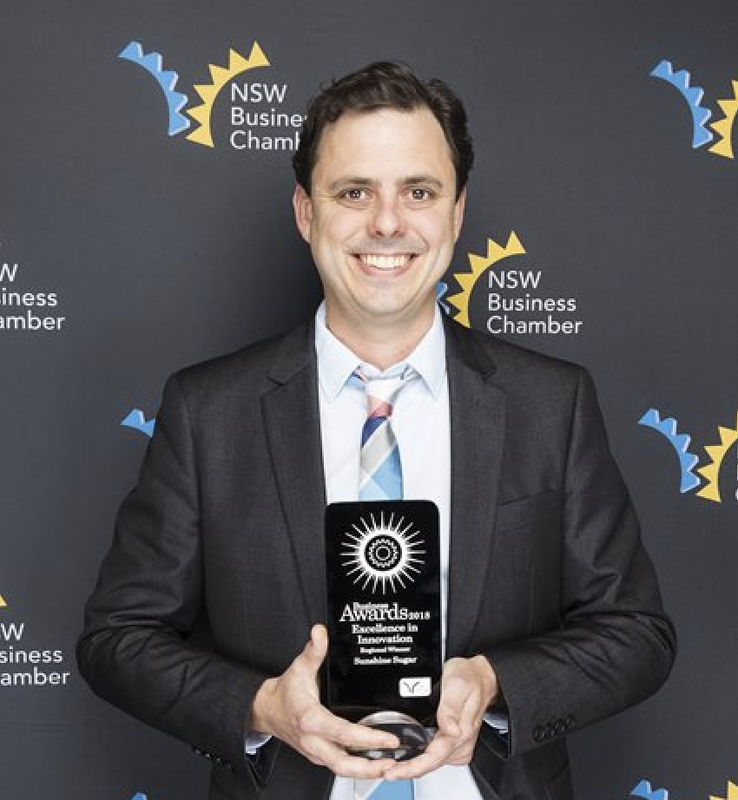 Australian Nucane™ producer, Sunshine Sugar, has won the award for ‘Excellence in Innovation’ at NSW Business Chamber’s 2018 Northern Rivers Regional Business Awards. The award recognises Nutrition Innovation’s technology using advanced production methodologies at the sugar milling stage, to consistently produce a sugar that retains naturally occurring and beneficial antioxidants. The award was accepted by Kent Selby, Business Diversification Officer at Sunshine Sugar (pictured). As a regional Australian winner, Sunshine Sugar will now go on to compete for the State's top honour at the NSW Business Chamber State Business Awards, culminating in the Gala Awards Dinner in Sydney on Friday 23 November. For more information visit: http://www.businessannualawards.com.au/Regions/Northern-Rivers.